“Unapologetic love and acceptance . . . It is something words can’t capture,” says Dr. Broh, who has attended the Student Diversity Leadership Conference (SDLC) since her first year at Academy. The conference was held in Nashville, Tennessee, and six upper school students had the opportunity to participate in a full 2-day gathering centered around the exploration of identity. 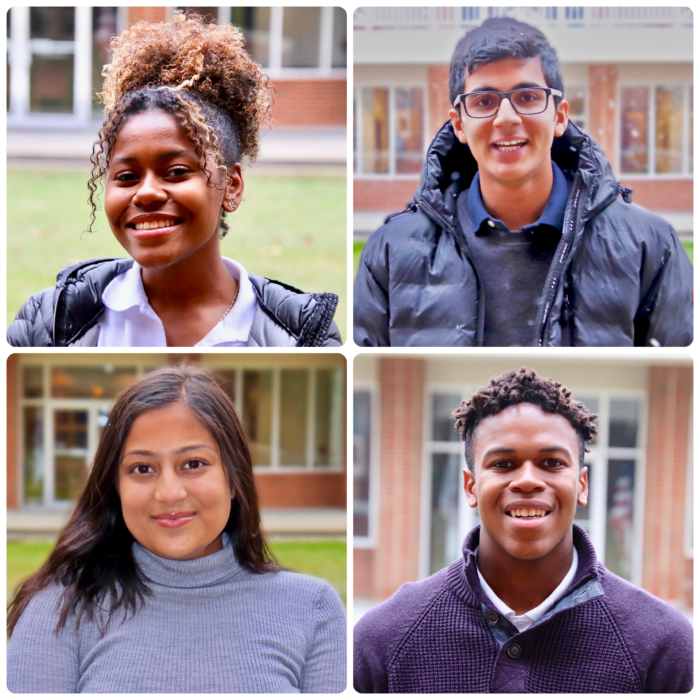 This past year’s attendees were sophomores Vaughn Armour and Olivia Pierre-Louis; juniors Shaan Arora, Eliana Jenkins, Alisha Mohsin and senior, Claire Budzik. 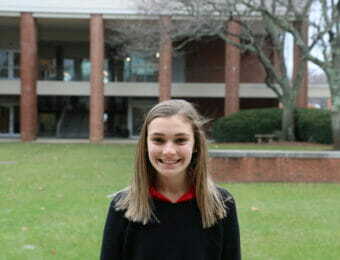 “SDLC was an incredible experience. It provided a unique opportunity for me to come out of my shell and to work through social anxiety. It also gave me the chance to meet many amazing people across the country that I hope will become lifelong friends. Most importantly, SDLC was a place of true diversity. People from all different backgrounds gathered in Nashville, Tennessee, from Thursday, November 29th to Saturday, December 1st. This ranged from people with different economic backgrounds, ability levels, races, religions, sexual orientations, gender identities, ages, and family structures. These eight made up the core cultural identifiers, or CCIs that were discussed heavily throughout the conference. For me, getting to know people with so many different stories to tell was eye-opening. I had honestly never met someone who openly identified as transgender and have met very few who were open about being gay. This face to face interaction really helped me to see that we’re all just people, regardless of how you identify yourself or whom you love-that was my greatest takeaway from this conference. We all have hopes, interests and stories to tell. We live in a society today where othering is prevalent and the fear of difference is still great. This can take form in Islamophobia, homophobia, racism, or countless other forms that frankly are too prevalent in our proud country. One of the faculty members and my group leader talked about exposure constantly as the best way to combat hate. He brought up this story of brave people going to prisons and meeting people that were imprisoned for hate crimes against their group. Instead of being justifiably angry, these volunteers would get to know the prisoner. For many of these prisoners, it was the first meaningful interaction that they had ever had with someone who they were supposed to hate. The vast majority of these prisoners started to come around to their wrongdoings, with some even emotionally apologizing to their newfound friends. This hate was bred out of pure ignorance, and that is the angle to take in the fight against hate. Real interaction with all different types of people can emphasize the humanity in all of us, instead of the boxes we check. Truth be told, SDLC is an experience that should be provided to more than just six people for a given independent school. The three days of immersion were ones that could truly change the hearts and minds of our generation, and therefore should have been more widespread. However, SDLC has ended, and most missed out on the opportunity. Because of this, the spirit of SDLC has to become alive in Academy’s halls and halls across the country. The spirit of acceptance and the freedom to be one’s true self have to be goals that we strive for in our community each day. 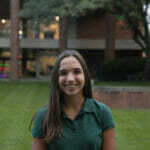 “When I learned about SDLC from my friends who went, I couldn’t think of anything better to take part in during the school year. From all the stories previous attendees told me, I was excited to share those experiences with them. But then again, I had no idea what to expect, and I wasn’t going to get my hopes up to have the same “transformative” experience as my older peers had. Nevertheless, I got on the bus with my five other classmates anticipating what was to come. If I was to describe every interaction and every activity, my story would never end. However, to say SDLC was amazing would be an understatement. There is nothing more refreshing to be in an area where most people look like you (a person of color), think like you, or have the same experiences as you. For some people at Academy, this is normal. This is routine. But for me, this wasn’t. Seeing people from all different ethnic backgrounds in the same space was just indescribable. There were about 1,600 kids from independent schools to discuss the lack of diversity within their schools and ways we could better our community, something I feel is barely touched on in school. I left the conference feeling really emotional, which I had never expected. The acceptance and love that was shown to me and to others was remarkable, and I realized that I would probably never experience that again. I loved seeing everyone being so open about who they were without judgement; something they couldn’t experience at home. SDLC was like school heaven, and I dreaded coming back to Academy. I met so many new people, and my closest friends from the conference came from all different backgrounds, but we all shared the same experiences at our schools, and honestly it was kinda’ funny talking about it. We had all been mistaken for the other person of color in the school who looked nothing like us, or used for the school brochure for them to showcase their ‘diversity. The 2019 SDLC will be held in Seattle, Washington. If you are interested in applying this year, contact Dr. Broh following her announcement.